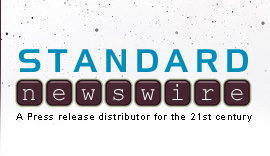 World Water Day on March 22 Spotlights Chronic Water Shortages, Issues Call to "Leave Nobody Behind"
WILLS POINT, Texas, March 18, 2019 /Standard Newswire/ -- Faith-based humanitarian agency Gospel For Asia today announced plans to drill more than 4,000 of its unique "Jesus Wells" in the most needy communities in Asia this year, as World Water Day on March 22 spotlights the struggle to satisfy the world's growing thirst. Photo: Gospel for Asia's Jesus Wells are bringing clean water to thousands of remote villages in Asia's arid hotspots. GFA (www.gfa.org) - a leading provider of clean water in Asia's most thirsty hotspots – has helped drill thousands of wells and supply tens of thousands of household BioSand water filters in Asia where water shortages are most critical. World Water Day highlights the vital importance of access to clean drinking water as a basic human right – this year under the theme "leaving no one behind." "Absolutely no one should be left behind when it comes to the most basic need of life – not just water, but clean water," said GFA founder Dr. KP Yohannan. "Our goal is to provide a long-term, solution in the water-starved villages and communities we serve, giving everyone access to fresh water and providing the training they need to keep their new well pumping clean water for decades to come." In some areas of Asia during the long dry season, villagers wait more than six months for rain, helplessly watching rivers and watering holes dry up. Often the only water source – a dirty pond – spawns illnesses such as typhoid and chronic diarrhea that threaten children's lives. The answer is under the ground, tapping fresh water reserves deep below the surface – and GFA provided a unique solution with "Jesus Wells." 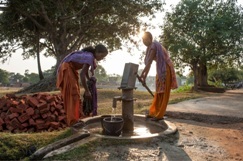 Transforming life in these thirsty communities, Jesus Wells supply clean water for entire villages – and share the hope of Christ with those who have never heard the "good news," serving everyone regardless of religious beliefs. Costing an average of $1,400 per well and often maintained by local volunteers, Jesus Wells are built to last for decades, and display a plaque in the local language, quoting Jesus from the Gospel of John: 'Whoever drinks of this water will thirst again, but whoever drinks of the water that I shall give him will never thirst. But the water that I shall give him will become in him a fountain of water springing up into everlasting life" (John 4:13-14). "Many people ask regarding this name that we have on the plaque," said Pastor Layak, a local church leader. "Then they come to know that (Jesus) cares for the people's needs and for their lives." GFA just released a new report titled "Dying of Thirst" that reveals insights into what experts are calling a "worldwide water crisis": www.gfa.org/special-report/dying-of-thirst-global-water-crisis. Water shortages will have the most devastating impact on the nearly 2 billion people who live in arid and desert regions, and who currently share only 2 percent of the planet's usable water, the report says. GFA projects the crisis will deepen as the world's population spikes and demand for drinkable water skyrockets by 30 percent in the next 30 years. Meanwhile, GFA's Jesus Wells continue to transform lives and hearts. "People are saying: 'This is because of God's grace. Only with our God this has happened'," Pastor Layak said. Celebrating its 40th anniversary in 2019, GFA (Gospel for Asia, www.gfa.org) is a leading faith-based humanitarian and mission agency, bringing vital assistance and spiritual hope to millions across Asia, especially to those who have yet to hear the "good news" of Jesus Christ. In 2018, this included more than 70,000 sponsored children, free medical camps conducted in more than 1,100 villages and remote communities, over 4,700 wells drilled, over 11,400 water filters installed, income-generating Christmas gifts for more than 240,000 needy families, and spiritual teaching available in 110 languages in 14 nations through radio ministry.